Today in Biochem I got a gem of wisdom that has made taking this 8am class (5 days/week, mind you) worth it. We are studying sugar metabolism. Today I learned why HIGH FRUCTOSE CORN SYRUP makes you fat. It’s call the TCA cycle. In a very small nutshell – it’s how we oxidize sugar to produce water, carbon dioxide and heat (ie, the calories from sugar to use as energy). Fructose, unlike glucose, doesn’t quite work in a fashion that makes for ideal digestion. 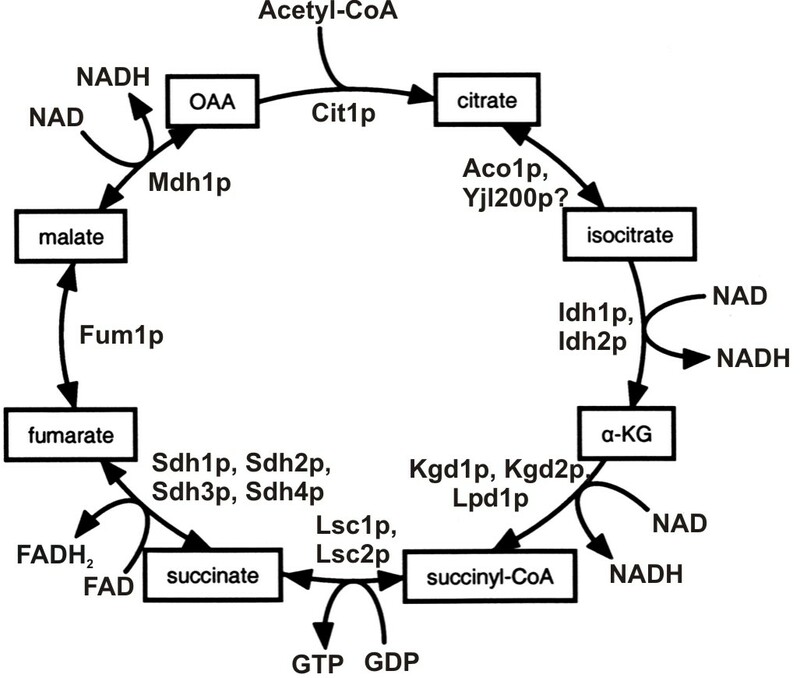 It bypasses certain steps and you end up getting the TCA cycle going in full swing. Problem? Yes. When we get too much ‘substrate’ (ie stuff to metabolize in the TCA) our bodies are so clever that we have a back up plan. Look closely at the diagram of the TCA cycle. See that molecule called “CITRATE’? This is a regulating step in sugar metabolism. When we get too much citrate (from lots of sugar being broken down), a second pathway is activated. That pathway is the lipogenesis pathway. Fancy name for making fat (lipo = fat, genesis = making/creating). Clever, huh? Having too much general sugar can do this as well but fructose is different because even smaller amounts will activate the fat pathway. That is why HFCS goes right to your a**, or wherever in your body that you store fat. Solution: Avoid HFCS. Unfortunately, there are other sweeteners that are high in fructose, such as agave and honey. I’m investigating the word on the science street about those sweeteners. My mentor professor is against agave, and she’s the gal at Davis doing all the fructose studies. They’ve shown in studies that consuming fructose (not HFCS, just fructose) elevates fasting triglycerides, and seems to promote weight gain more than glucose does. Hmm……. Off White might have to change it’s M.O. and be about not just cutting out white sugar, but just cutting out sugar. Granted, that is ultimately the point, but I may be learning some things about unrefined sweeteners that aren’t so sweet. I’ll keep you posted! You’re right on the money. Check this guy out from your neck of the woods.